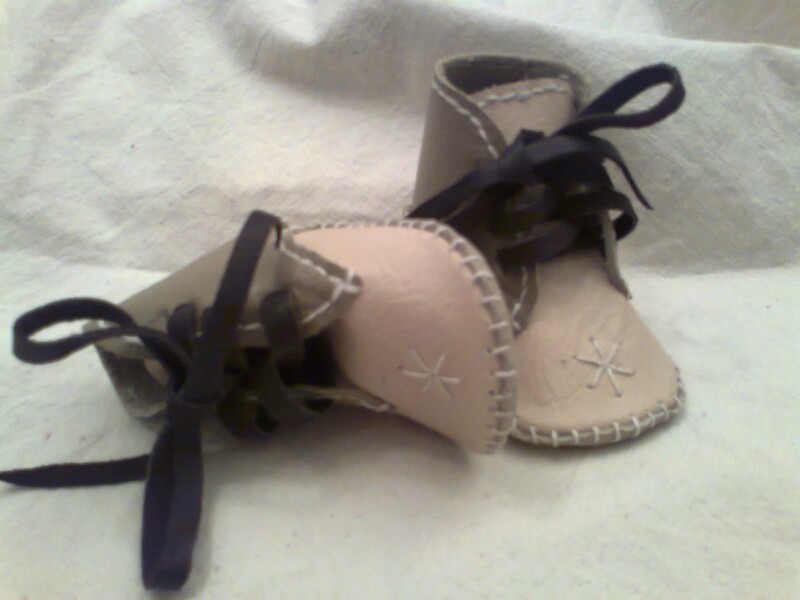 Baby Booties - Black Star Leather - re-enactment & contemporary handmade leather items. Commissions welcome! 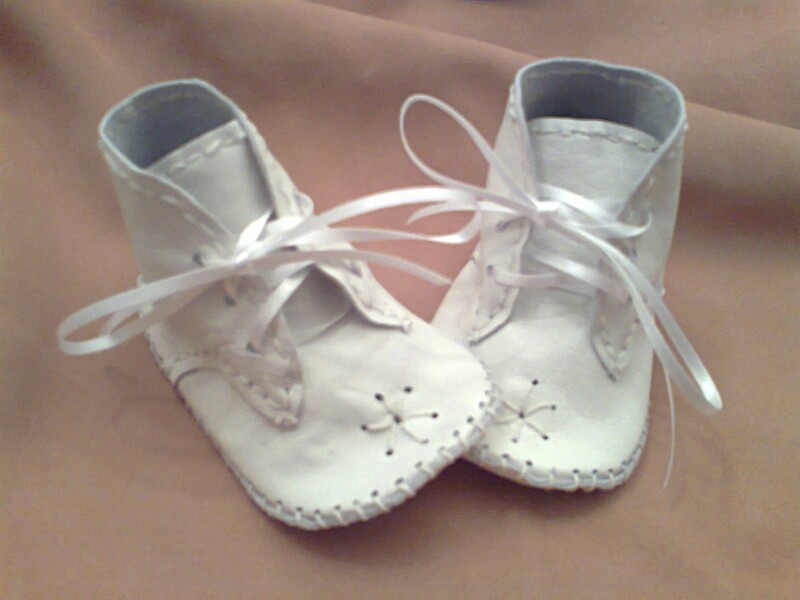 These cute all leather baby booties can be handmade to order. Variations available in style, size & colour. These white booties have an internal sole length of approx 10 cms, size 1, but do measure your child's foot! 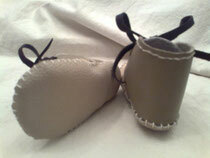 The uppers are made from white very fine soft gloving leather whilst the soles are a little bit thicker. 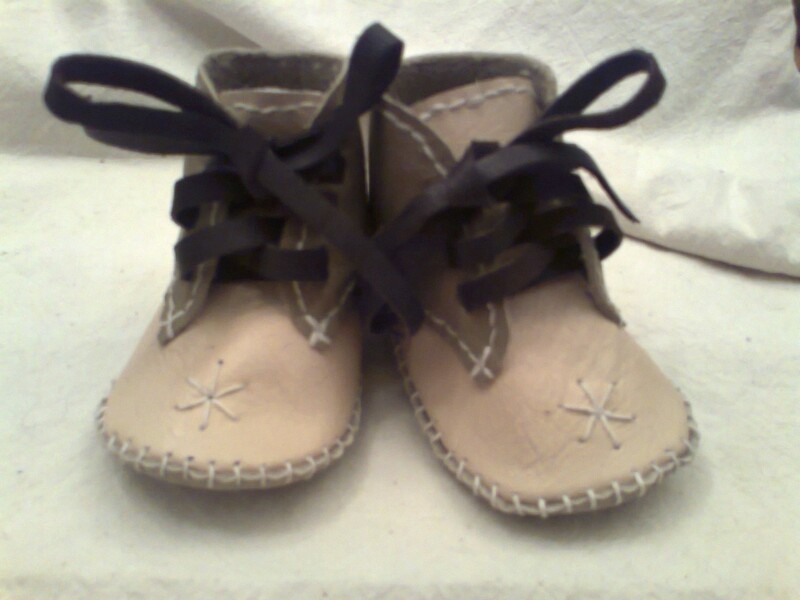 They are entirely hand made & cost £15. These booties have an internal sole length of approx 10 cms, size 1, but do measure your child's foot! 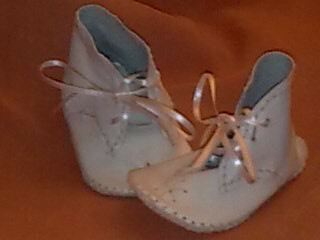 The uppers are made from soft leather in differentv shades of cream & beige fastened with brown leather ribbon laces..